Discussion in 'General' started by Bonfi96, Apr 17, 2019 at 12:23 PM. Hey guys! It's my first time diving into the world of small pcs but due to some flying around I'll have to make my pc as small as possible with some limitations. I tried looking around a bit on the web but I couldn't find anything that would fit all my requirements, I admit they are a bit "exotic"
Do you guys have any suggestions? Thanks! In general, pick 2, especially if by 'drive bays' you mean 3.5" - 2.5" may be more reasonable as long as you don't expect them to be external. Also, 40x20x25 is massive for a backpack, no? That said, from what you're asking I'd look at the Ncase M1, or Sharkoon QBOne on the smaller side. On the larger side of your limit the Fractal Core 500 squeaks in right around there maybe 3mm too big on one side. Why ATX? Why not SFX? ATX has little to no benefit over SFX these days, unless you already have an ATX and just want to reuse it? I have a radeon HD 7950 OC, it's 270 mm but I wouldn't mind more space for future upgrades. I need the 3.5 drives spaces so that's a bit of a problem. At the moment the QB one seems the best, though I'm worried about my modular PSU not being supported as stated around the web. If you don't mind the case to be very cheap, I would recommend Silverstone SG13. Only 10.5L with Reference-length GPU, 120mm AIO and ATX power support. But your drive bay would be limited to 1x2.5 if you want to use atx psu. 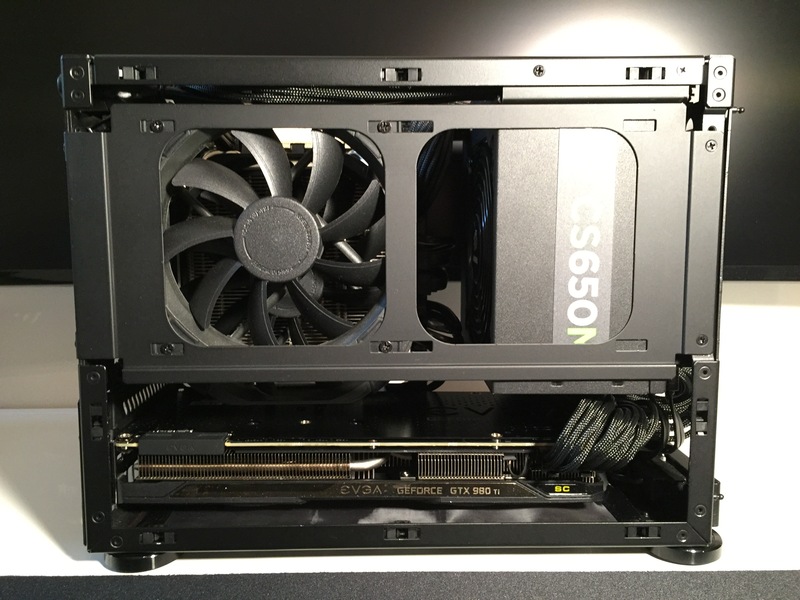 An AIO is strongly recommended because the space for the cpu cooler is extremely limited if you are using an atx psu. I love the design of the case but the build quality of it is merely ok. Can't ask for too much, it's a cheap case anyway.